Behind the Scenes on our Cody Hoyt Edition — Print Club Ltd.
Over a marathon six days we printed the two silkscreen editions that we invited Cody Hoyt to work on with us. Our buddy Mark at Haven Press in Brooklyn hosted us for the week as we cranked out these two incredible designs. 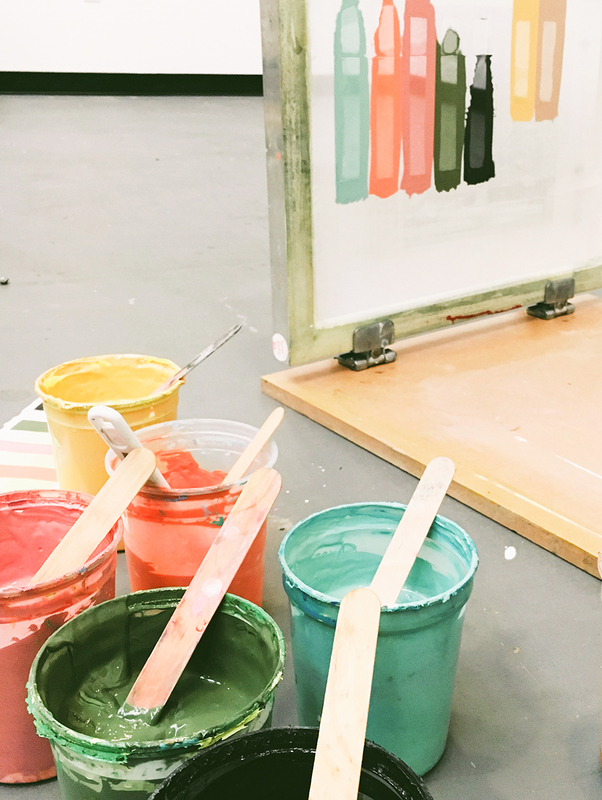 Hopefully these shots illuminate the process of individual color application that distinguishes the process of silkscreen printing. We start by mixing all 32 different colors, doing color tests to check they match Cody's palette and then move onto printing where we gradually build up each design one color at a time. Enjoy!